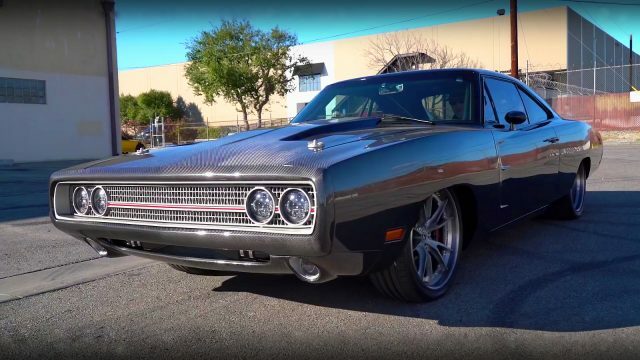 You have already heard of this 1970 Dodge Charger, but have you ever had a chance to see it up close? Now, we have a great video that explains everything, plus, test drive like never before. 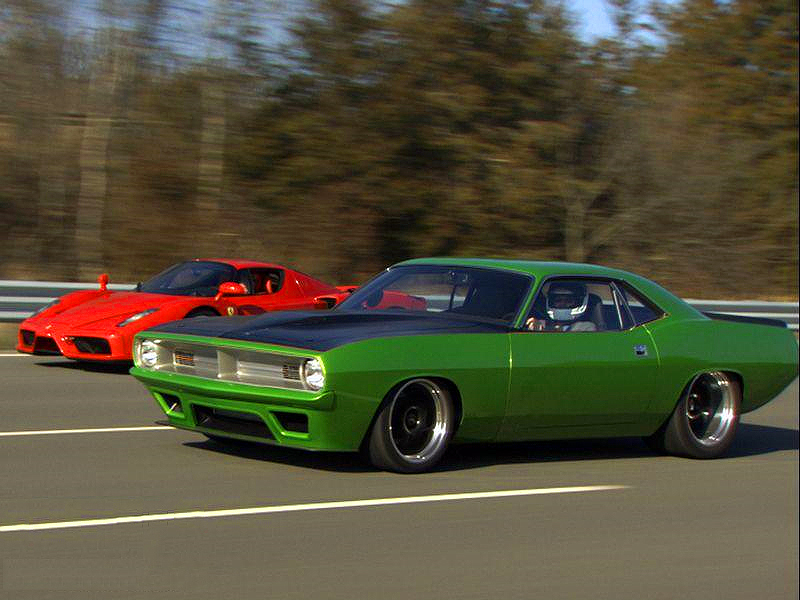 So let’s jump in reviewing this 1970 Dodge Charger Tantrum. 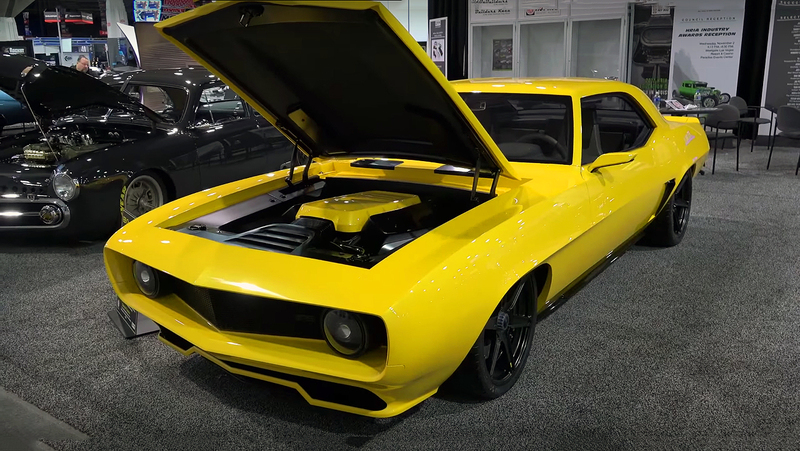 This custom 1970 Dodge Charger Tantrum it was designed and made by the SpeedKore Performance Group and make his first appearance at the 2015 SEMA Auto Show. 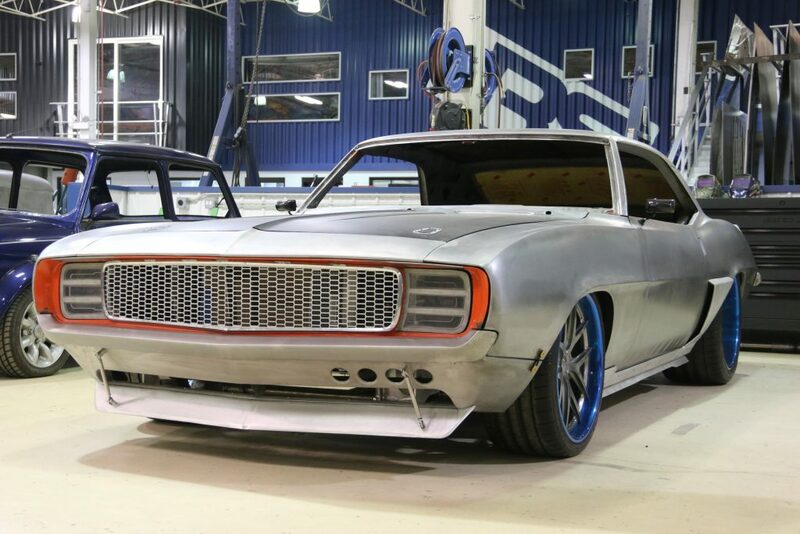 Also, as a reminder, this Charger was a star in the Fast and Furious 8 franchise. However, what makes so special this 1970 Dodge Charger? This Charger has been fully customized with naked carbon fiber body parts and modernized with LED headlights and LED rear taillights. The front grille is entirely made from one piece of aluminum, but also all aluminum details have been produced to perfection. The interior is super simple but very functional. Speedkore has used superlight materials for the interior such as alcantara, aluminum, carbon fiber and leather. 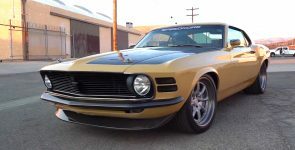 In addition, it is equipped with a Vintage AC unit, audio, custom gauges and a roll cage. Nevertheless, the most interesting is the Powertrain under the hood, which is Twin-Turbocharged Mercury Marine Offshore Racing QC4V 552 cubic-inch, 9.0-liter all-aluminum crate V8 engine. The V8 engine with a pair of 94mm turbochargers and race gasoline is capable of producing incredible 1650 horsepower. All that power is transferred via Tremec T56 Bowler 6-speed manual transmission system at the Ford 9-inch rear end. ﻿ The body lies on custom Roadster Shop chassis and suspension. The massive 19-inch front and 20-inch rear wheels are made by HRE Performance Wheels wrapped with Michelin Pilot Super Sport tires. 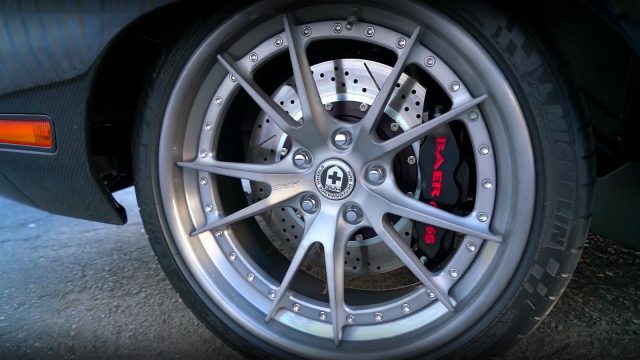 For safety, there are four Baer 14-inch vented rotors with six-piston calipers on all wheels.